ts viv, a photo by Pinyon Creek Stitchin' on Flickr. I am in a rr with Vivienne in Australia! 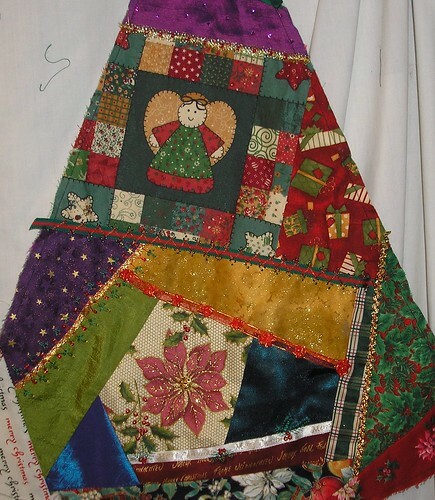 This is a second tree skirt wedge that I did some stitching on as an angel. Viv will complete it with what she wants. I hope you like what i've added Viv! Crazy Quilts Are Quilts Too!